In Navigation View, right-click on Case Classifications and then click New Classification. Enter a name for the classification. For example, Person, Place or Organization. In Navigation View, right-click on the new classification and then click New Case. 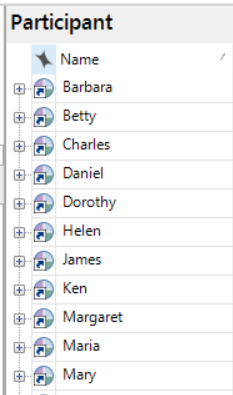 In List View, expand a case and click to add the case attributes. Attributes that you create are added to the classification and are available for other cases in the classification. 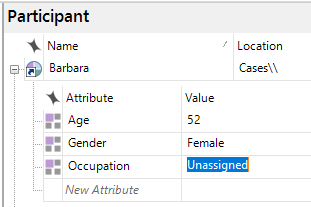 For example, if you create the attribute Gender, it becomes available for all new cases. Click to update an attribute value. 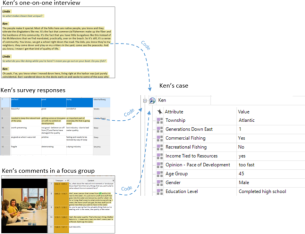 As you type, NVivo suggests any existing matching values—you can accept the value or enter a new one. On the menu bar, in the Coding group, click Code. Select the Cases folder, and then click New Case to create and code to a new case.